Shank square in section; circular head slightly raised in center. 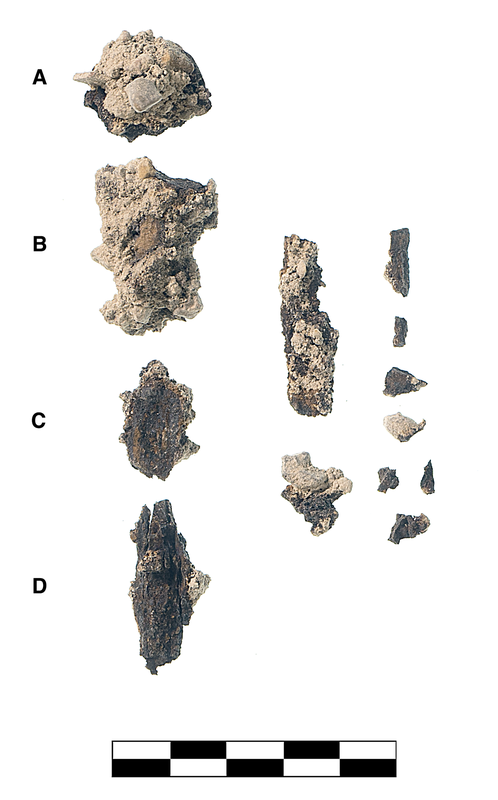 Four fragments of one nail, two joining, including most of shank and small part of head; additional two large and seven tiny slivers and flakes from this or similar nail(s). Heavily corroded with slight mortar adhering.